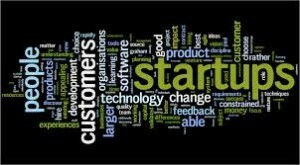 Last week I read a Wall Street Journal post by Jessica Livingston entitled “Why Startups Need to Focus on Sales, Not Marketing”. While reading the post, I kept on remembering a line from one of my favorite films, Taps, where the lead character’s father says to him, “Let me tell ’em it was growing pains – the wrong execution of the right idea.” I felt that I was reading “the wrong execution of the right idea” throughout the post. In the post, Livingston posits that early-stage startups should focus “narrow and deep” and she goes further by saying, “Sales and marketing are two ends of a continuum. At the sales end your outreach is narrow and deep. At the marketing end it is broad and shallow…Which means the kind of marketing you should be doing should be indistinguishable from sales: you should be talking to a small number of users who are seriously interested in what you’re making, not a broad audience who are on the whole indifferent.” She also notes that early-stage startups should focus on the “narrow and deep” because they don’t have the “power” to reach a big audience. My first question to Ms. Livingston is: how do you know who is interested in what you’re making if you don’t have a marketing strategy? It seems to me that she might be confused on what the true role of Marketing is and how Sales and Marketing must work together. While I agree that the goal of a startup is “to make a really good product and go out and get users manually”, that’s not enough. This is where marketing strategy comes in. Marketing strategy is necessary not only to put the startup and its products on a path to success, but also to guide the sales team. To create and implement a marketing strategy, you need to engage a marketing strategist who understands startups and your particular vertical, and is experienced in both Sales and Marketing. Of course, it is up to the startup to determine whether the marketing strategist is in house or outsourced, but there should be a marketing strategist involved in some way, shape or form as they are pivotal to the success of the startup. And while it is true that early stage startups have to operate in a lean way, they shouldn’t be lean for the sake of being lean and definitely not at the expense of not having a strategy. Otherwise, the startup is doomed even before it has gained any traction. A marketing strategist’s role is not just to drive strategy but also to ensure the startup stays on message. -Is there an unmet need that we can fill? -How can we meet this need in a way that buyers will support us? Then, the startup should conduct market research to determine whether the idea is viable. 1. Conduct further market research to determine the startup’s sustainability in the market place, potential competition, and drill down to determine the target market which includes a lot of listening and engagement on social channels and online communities, and face-to-face interaction. 2. Create a thorough marketing plan. The plan should incorporate several items like a SWOT analysis; definitions of the market, target segments and competition; marketing tactics; marketing budget; etc. The marketing plan should also be able to tie marketing activities to business goals. And, the entire team should collaborate on this plan so that the entire organization is aligned. 3. Conduct deep dives into what the target buyer actually looks like through analyzing previous research conducted and interviewing prospects. To be successful, startups need to understand prospects’ buying habits, likes and dislikes, and pains and needs. 4. Partner with the product team in sharing key research, collaborating on product development and helping to produce key messaging and positioning for the product, and preparing for beta and general availability launches of the product. 5. Collaborate with Sales on a lead nurturing plan. Through research, you determined what a typical buyer journey might look like. The marketing strategist and sales team should align to define what a qualified lead looks like and help to create sales tools to help Sales convert leads to customers. 6. Engage writers to assist in writing website copy and other content that is relevant, purposeful and resonates with and helps the prospect. This is important because in order for a prospect to buy from you, they need to trust that you can help them. 7. Collaborate with the entire team to develop a retention strategy to turn customers into lifetime customers and brand advocates. Remember, it’s all about the experience. If you aren’t giving them the service they expect, they’ll go elsewhere. There are many other elements for a “narrow and deep” strategy, but in order to start and keep on a path that will ultimately increase revenues and lead to success for your startup, a marketing strategy and Sales-Marketing alignment must be in place early.